Here goes another tutorial. First up I cannot lay claim to the idea of this build and a quick search on google will reveal a plethora of solutions...but here goes with a Shed Wars version..
Has it ever dawned on you how much you spend on the incidentals of our hobby? It did for me last week whilst clearing the shed and realising how much I have spent on grass tufts in the past 12 months. Could I recreate my own cheaper? 1. 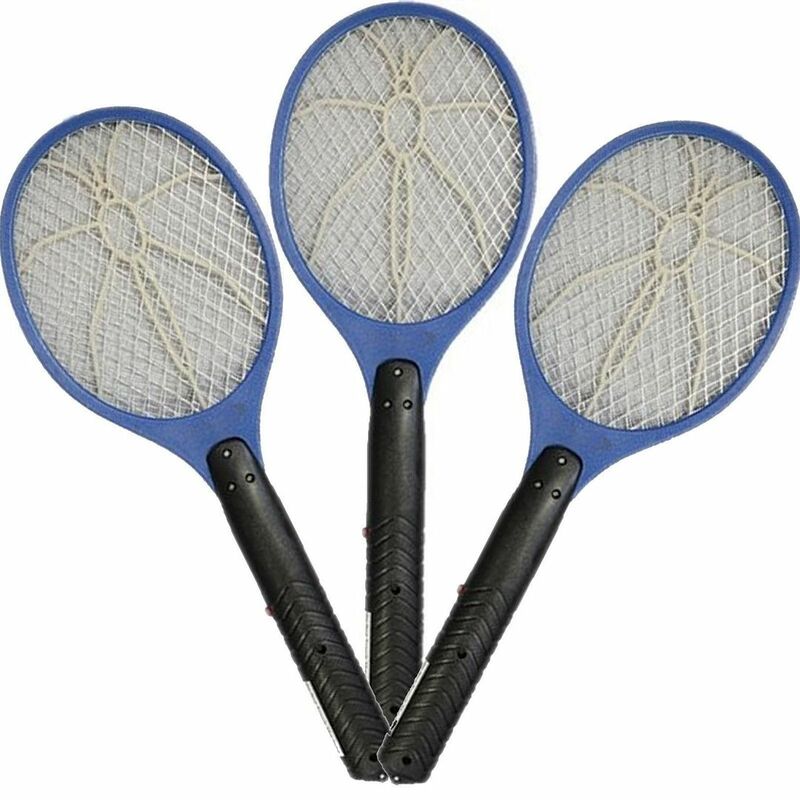 An electronic bug zapper/swatter. Could not believe how cheap these were...a pack of three on ebay for £5.99 including postage - that's £2.00 each ! I bought a pack of ten of these from Maplin for £4.99 - that works out at 50 p each. Apart from batteries and the static grass itself that is all you need. Total cost £3.49 per unit. VERY EASY I COMPLETED MY FIRST ONE IN 10 MINUTES. 1. Undo all the screws on the bug zapper to reveal the inside. The tennis rack style head is connected to the electronics in the handle with three wires - two black and one red. 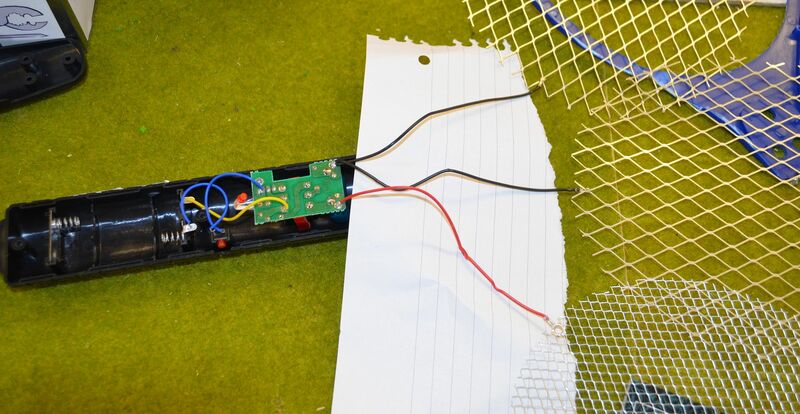 This reveals that the red wire is connected to the inside wire mesh whilst the blacks are connected to the Outside mesh. 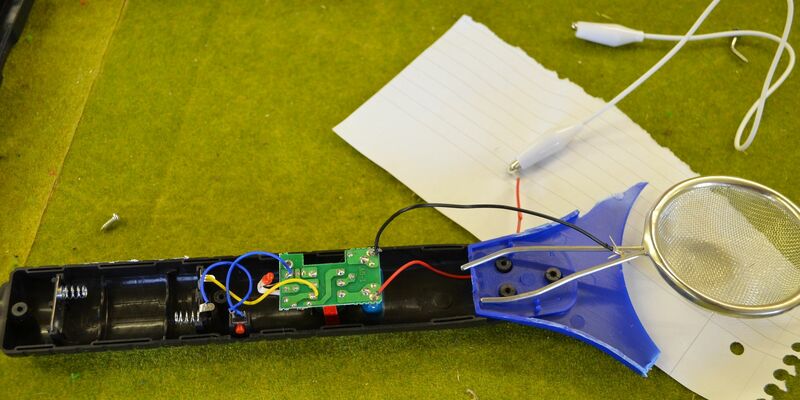 Cut one black wire away - as close as you can to the circuit board. 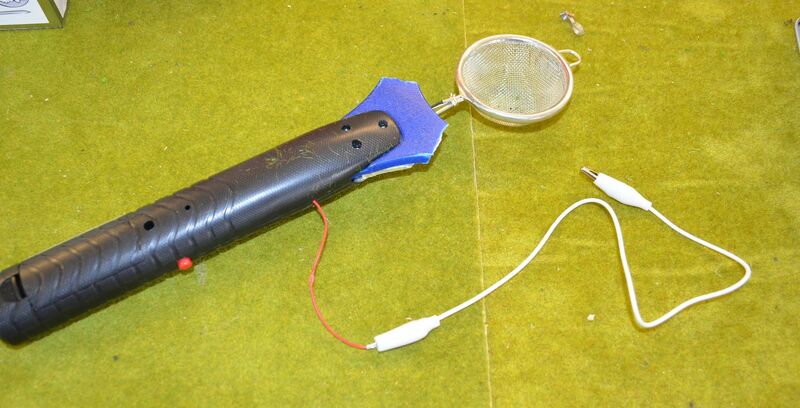 Cut away the blue tennis racket housing to create a 'guard' on the handle of your zapper and then hot glue the sieve to the side of this guard. 1. 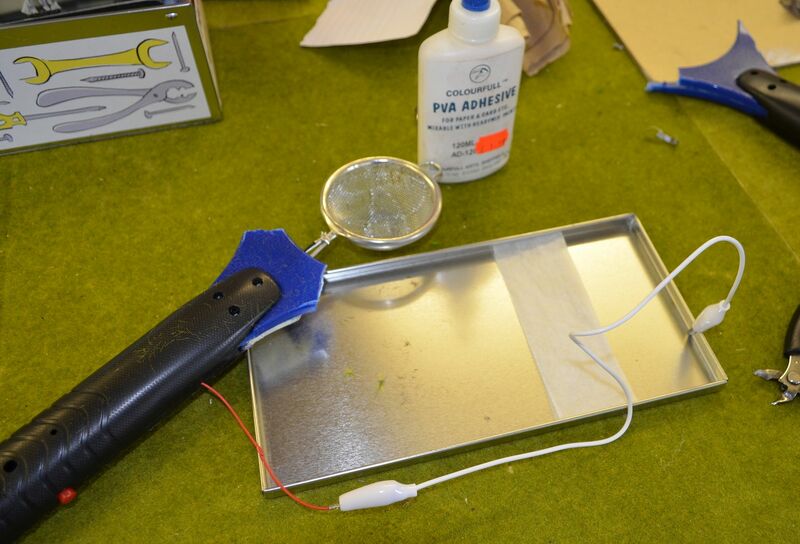 Get a biscuit tin lid and clip the zapper red cable to the edge of the tin. 3. 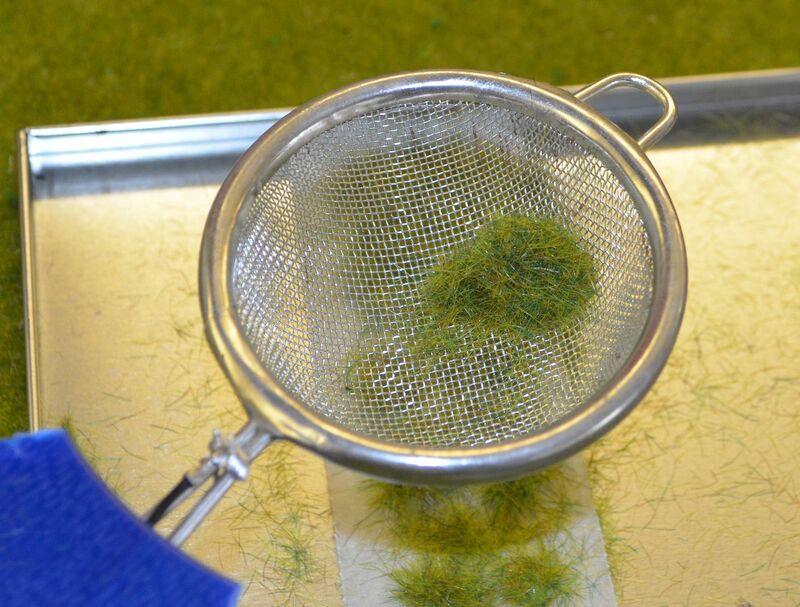 Fill the sieve with static grass and whilst holding down the on button tap shake and tap the sieve over the wet glue. 4. 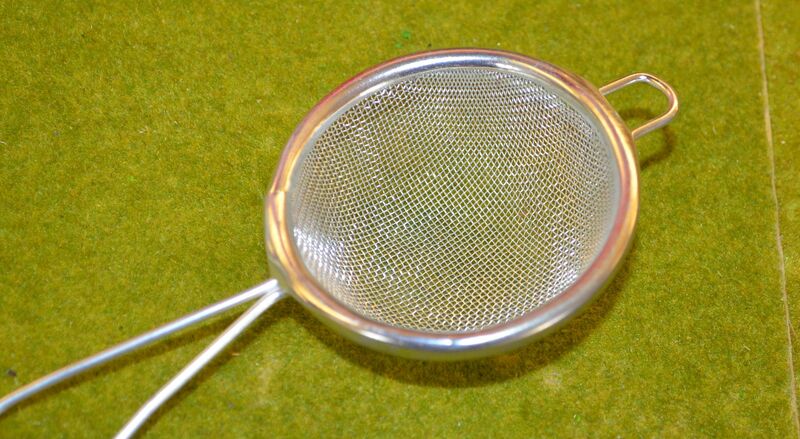 Once the sieve is empty switch off, unclip the cable and wait for the glue to dry. 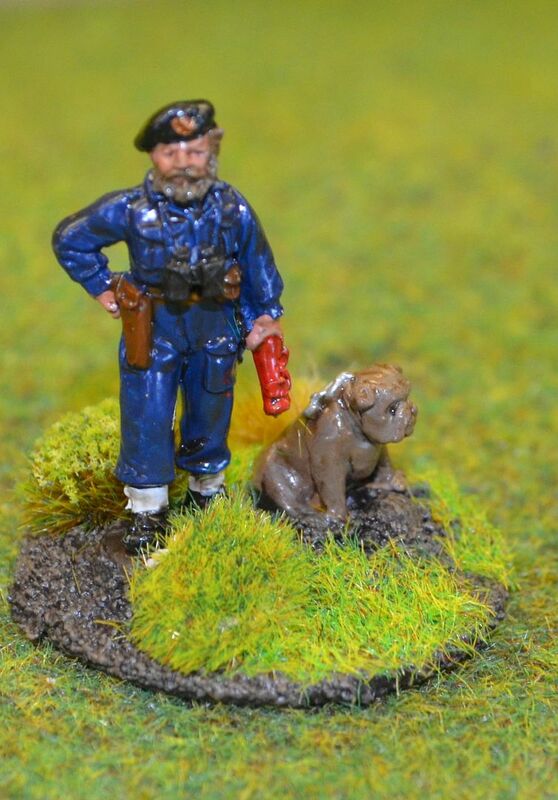 Whilst over in Tactica this year I bought a number of Pulp Figures including two packs of the British Sailor range. 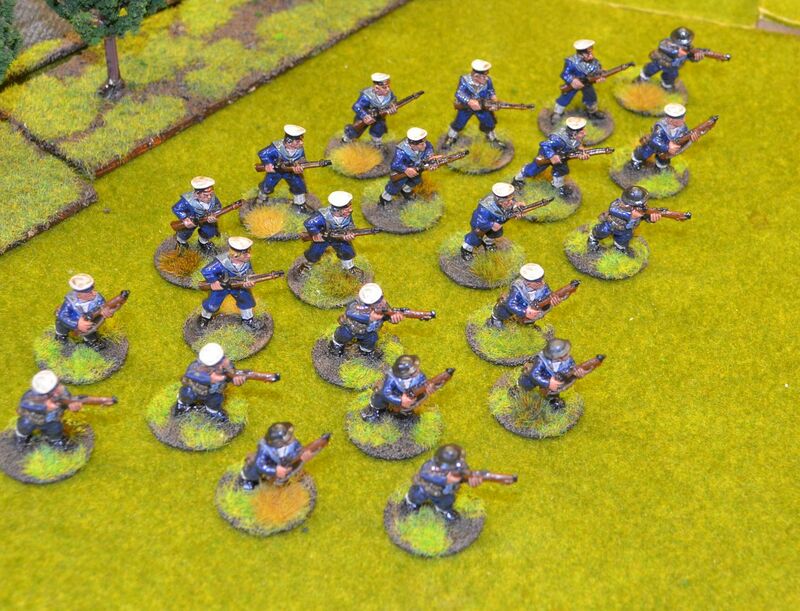 Although the pictures shown on the website show them in 'whites' I wanted mine in blues for my VBCW games - but of course they can be used in a number of settings including pulp. 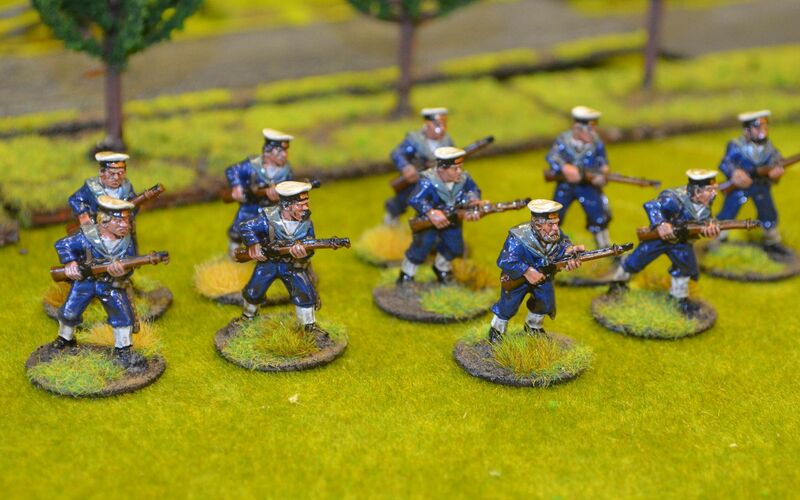 These were really easy to paint up and complemented the dozen or so Sailors I already had purchased and painted some years back. Sadly I can't find the manufacturer of these ?? Over the weekend Mrs Shed decided that a trip to Ikea in Croydon was needed. For some strange reason we have mislaid all of our breakfast bowls and there was a need to buy some stackable shoe boxes for my daughter. So off we tripped early Saturday evening. IKEA can be a wargamers dream and each time I visit I always return with some kind of booty. This trip was no different and three of the draw units shown below ended up in the back of the car. 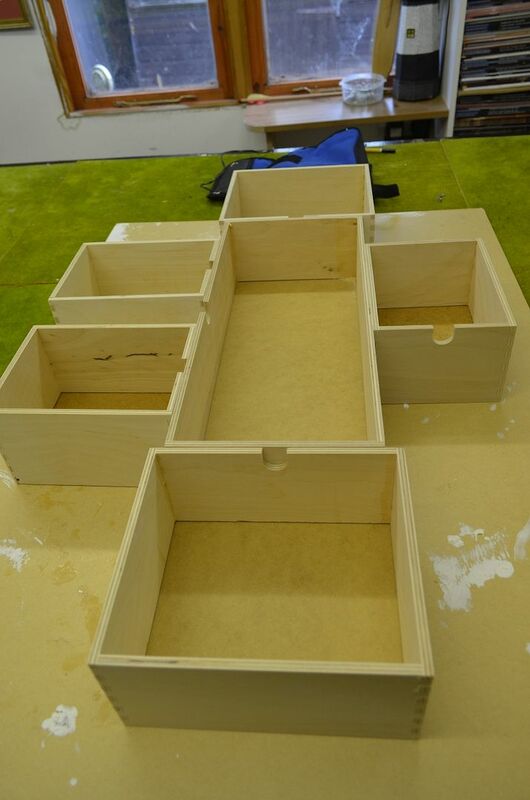 I did consider doing the same but the thought occurred to me that these might be the perfect boxes to build my modular dungeon and tomb. What's more is they come with there own packing case. 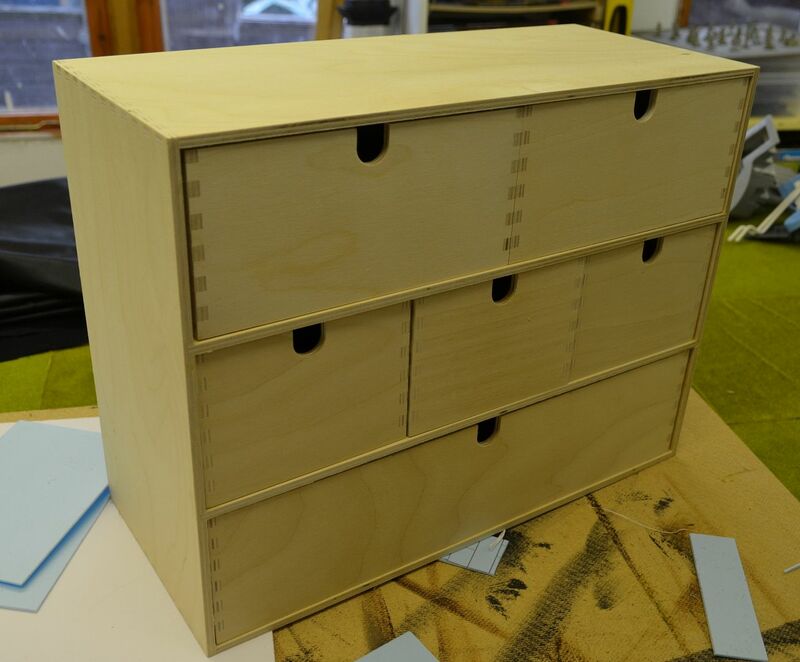 As you can see from the picture before each drawer unit provides one large, two medium and three small rooms. I bought three boxes so enough to be going on with. 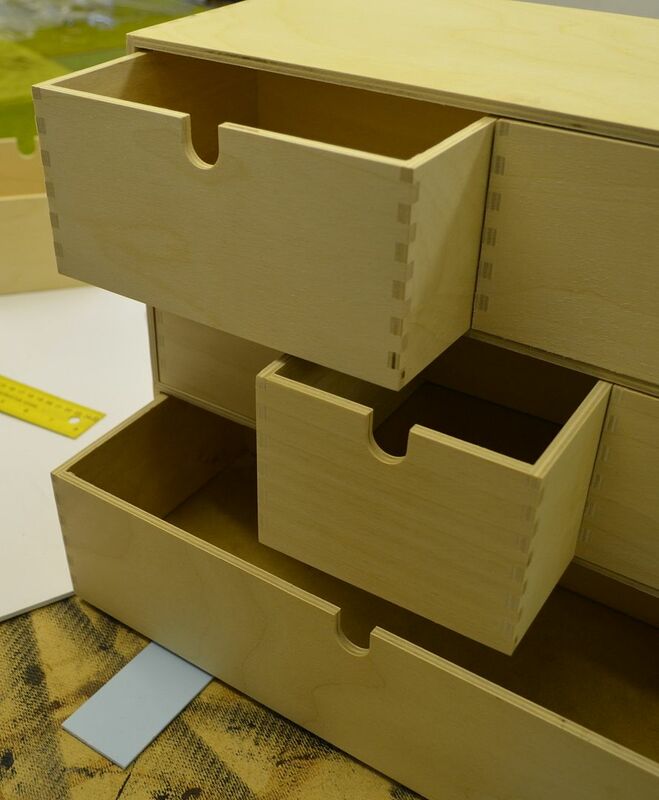 The picture below shows a simple layout using just one drawer section. I have three to begin with so it will probably keep me busy. So on Sunday night I decided to do a test piece. Unfortunately these scandivavians don't seem to have measured these boxes in simple easy to read measures but fractions of centimetres. Establishing the centre point was crucial on each wall as I could then mark out the doors. These were cut using a jig saw. With the doors cut I turned my attention to the floor. 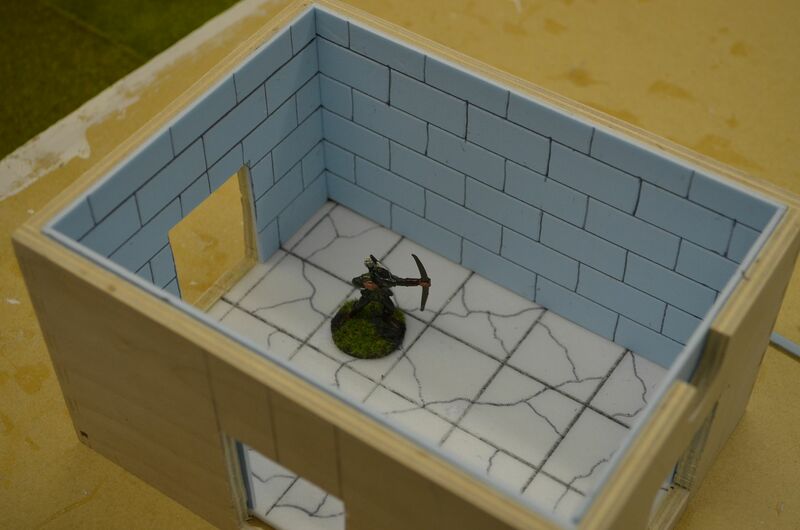 A piece of 3mm foam core came to the rescue. This was soaked in hot water to remove the paper backing. First time I have ever tried this and it works a treat. Once the paper was removed and the foam dry I etched on the paving slabs with a biro and drew is some cracks. 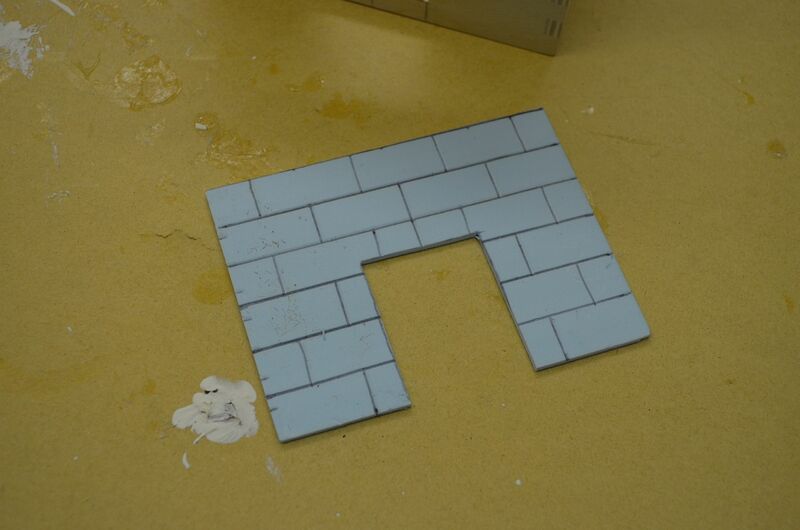 For the walls I used 2mm Blue Foam. I had purchased a number of sheets of this a couple of years back from 4D design in Tower Hill. 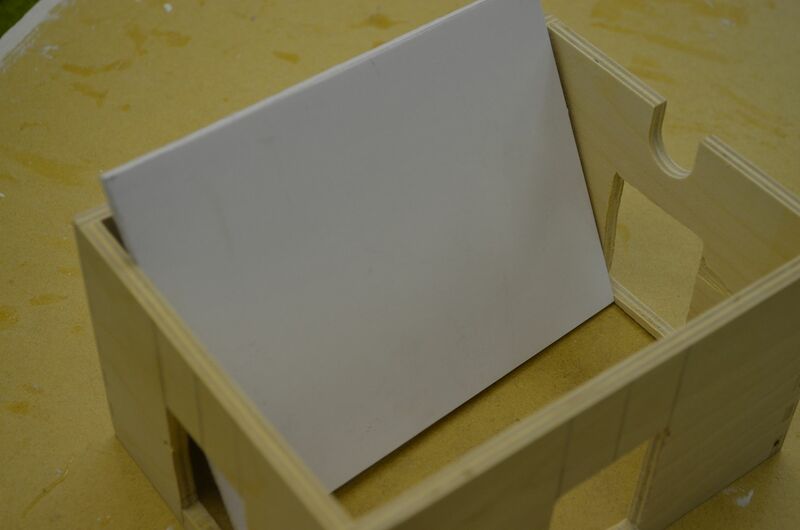 If I run out I'll switch to using cheaper foam core. These were scored with block work 3cm x 1.5cm. 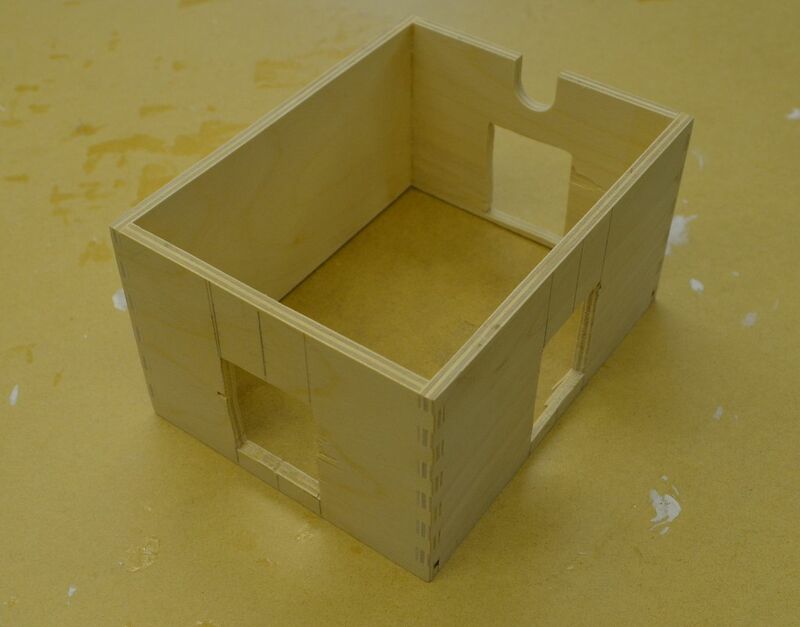 In the picture below you can see the chamber starting to take shape - the figure is a 28mm Robin Hood. At this point I thought the walls might be too high BUT it does allow me some room to add height to the floors and create pits, steps etc. in future pieces. 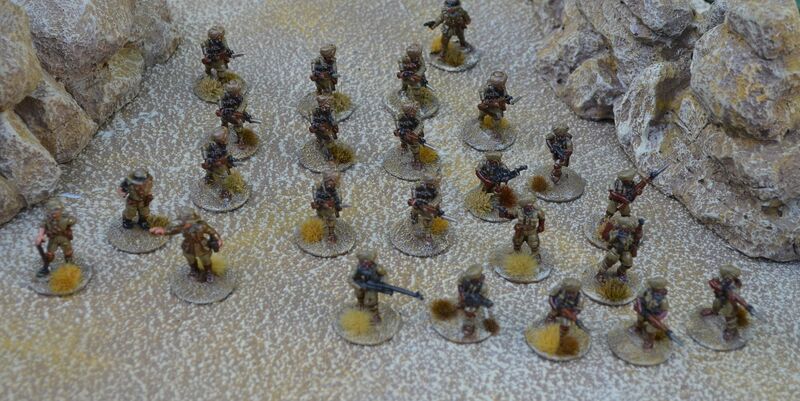 I decided that it would be much better to paint all these first before gluing them into the box. 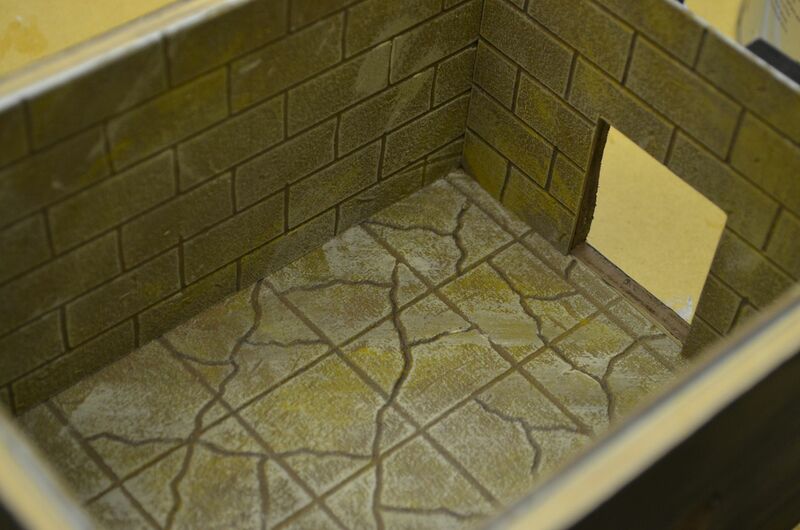 Unfortunately I didn't take any painting shots but given the first build is for the tomb complex under the pyramid these were painted light brown and then drybrushed yellow ochre followed by cream. 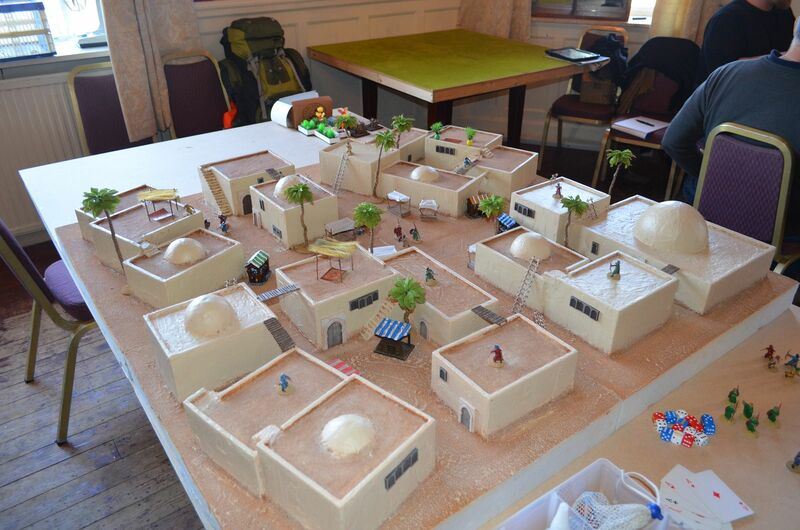 As per all my desert boards. 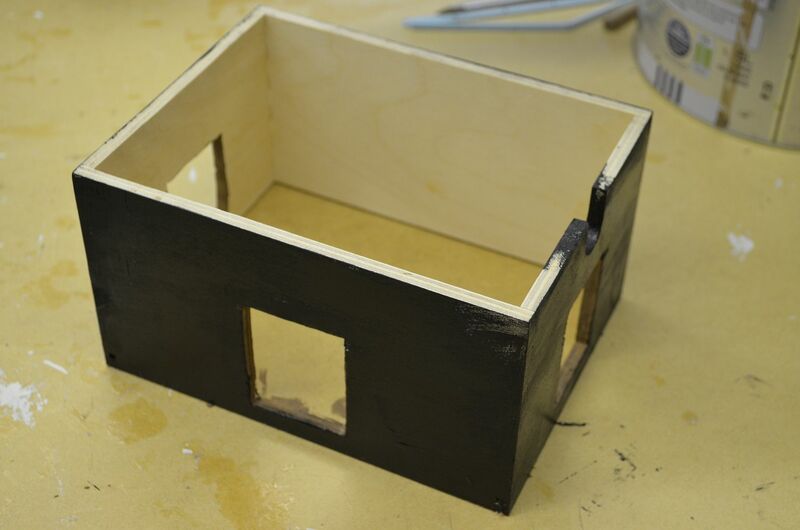 The outer box was painted black. And here we have the first finished room. I still need to glue in all the panels and tidy up the top edge, but hopefully this gives a picture of the final affect. With time running out I decided I would need some corridor sections. 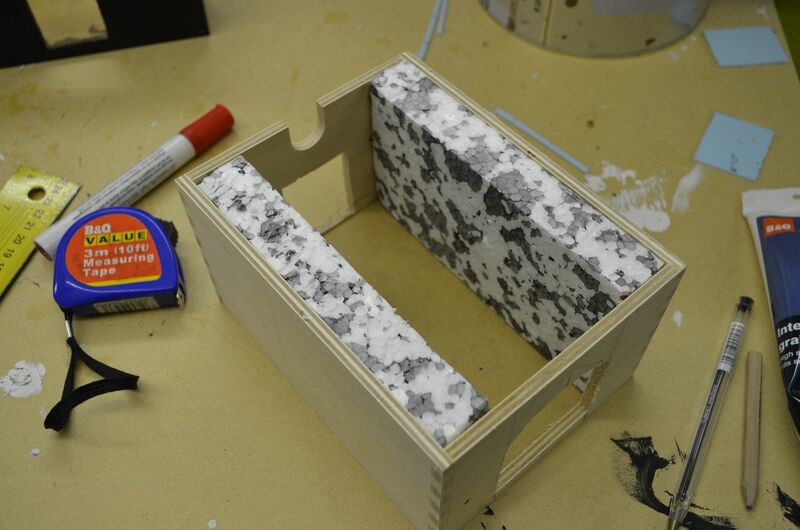 The walls of these are being packed out with 25mm polystyrene. 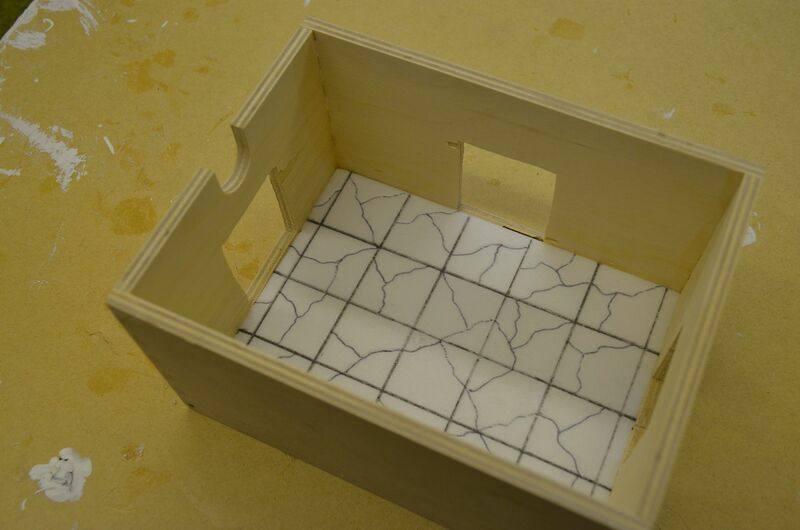 In the next post I'll focus on building the corridors, including corners and junctions. 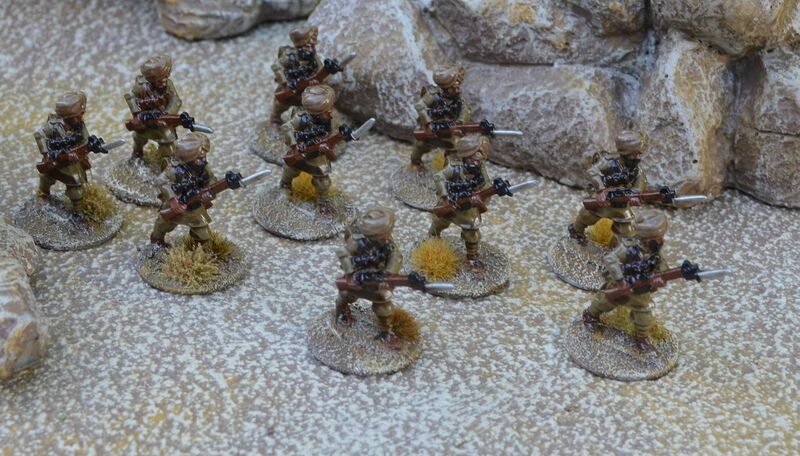 A couple of years back I won a bid on eBay for some Copplestone Sikhs and British Officers in Tropical dress. 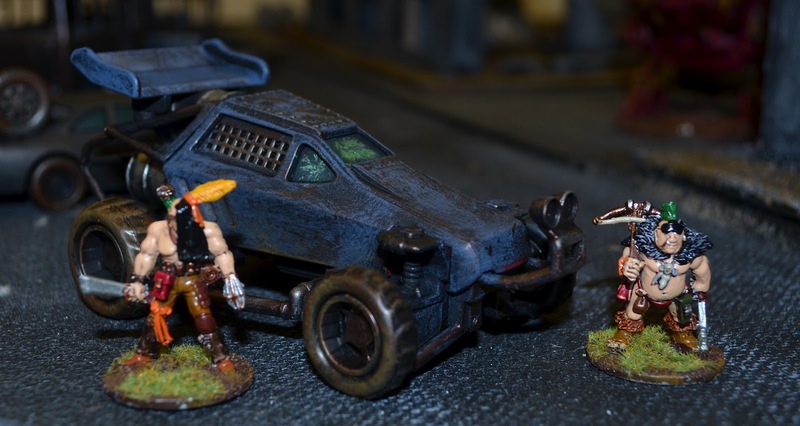 I had painted them and then completely forgot about them until I ran a recent Pulp game. The problem was that 10 troopers don't really cut the mustard and I needed a few more to make a meaningful force. The scales of the two ranges work really well together. 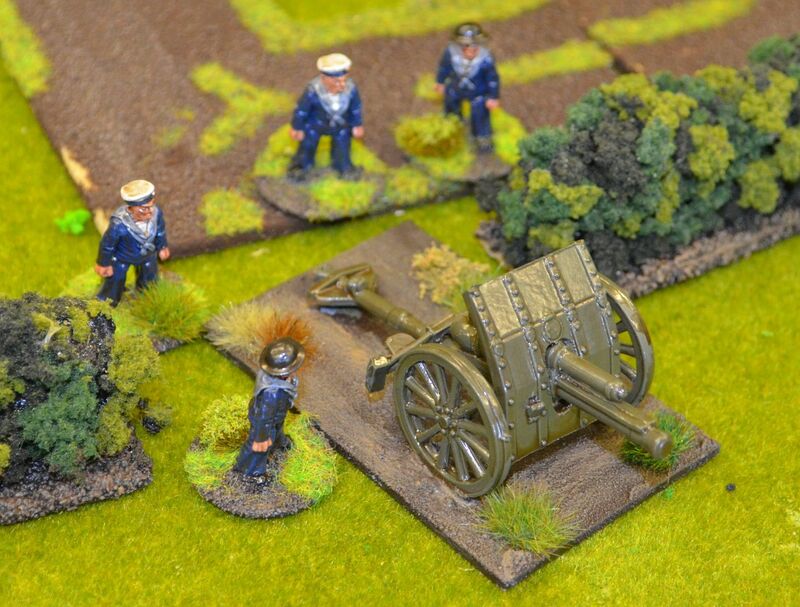 I just need to source a mounted machine gun (eg Vickers) and a Mortar unit and I think this unit will be finished. What with the latest release of Mad Max to the cinemas I thought it best that Shed should get in on the action. 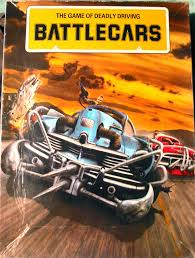 One of my friendly gamers and I have plans to develop our own post apoc road rules BUT the absence of time has meant returning to that GW gameset released in 1983 - Battlecars. I recall vividly when this came out - I was 18 just left school and was working in the demanding world of Sainsbury's as a trainee manager on the princely sum of £4k per annum. 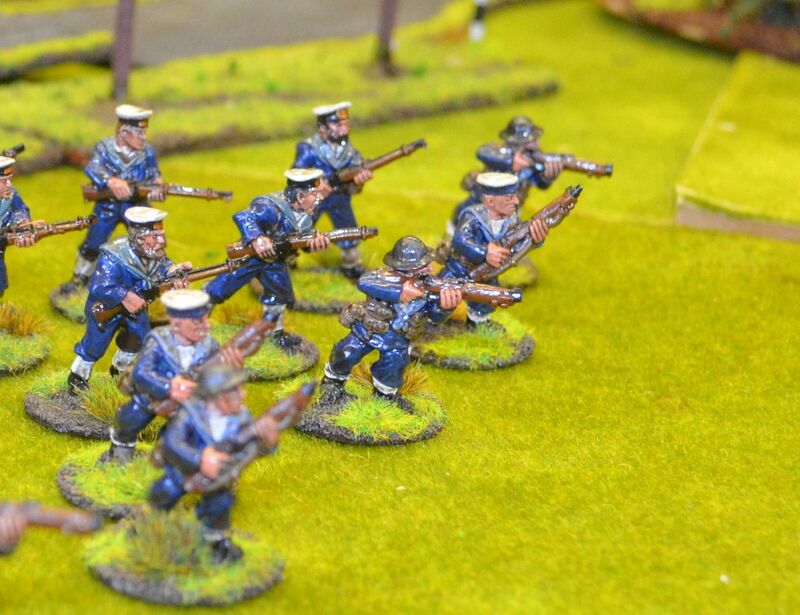 Upgrading the box set into 28mm was extremely simple. 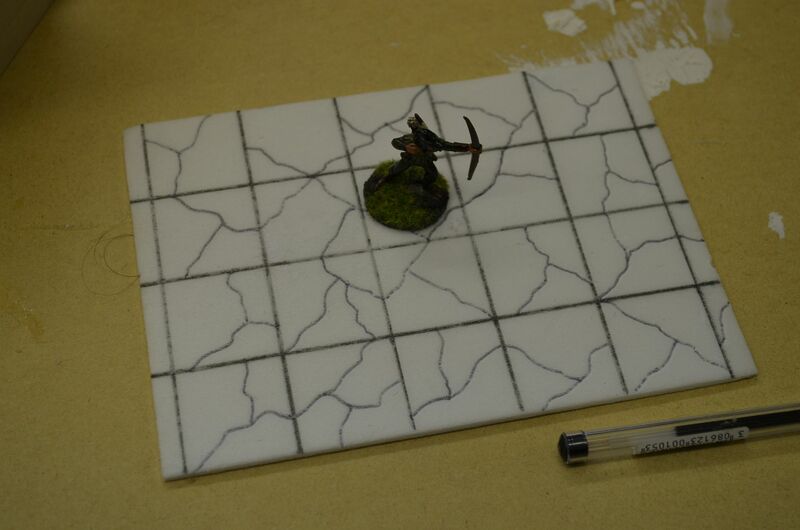 My gridded board would be the same one I use for my predator games with the diagonals drawn on. 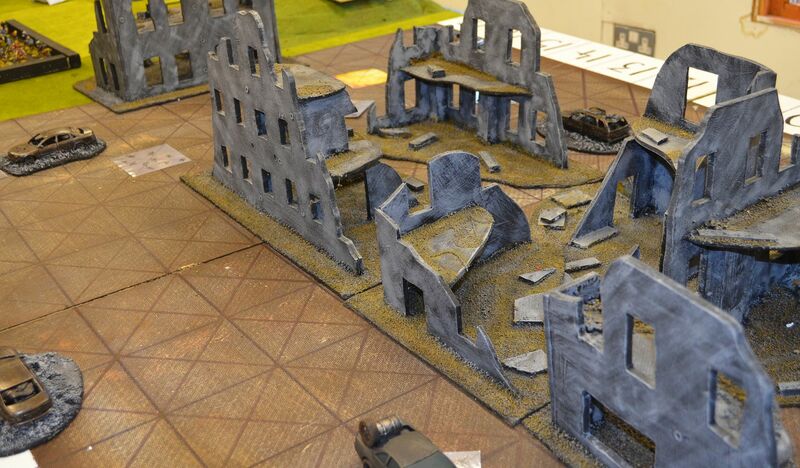 Terrain pieces are then laid over the top. 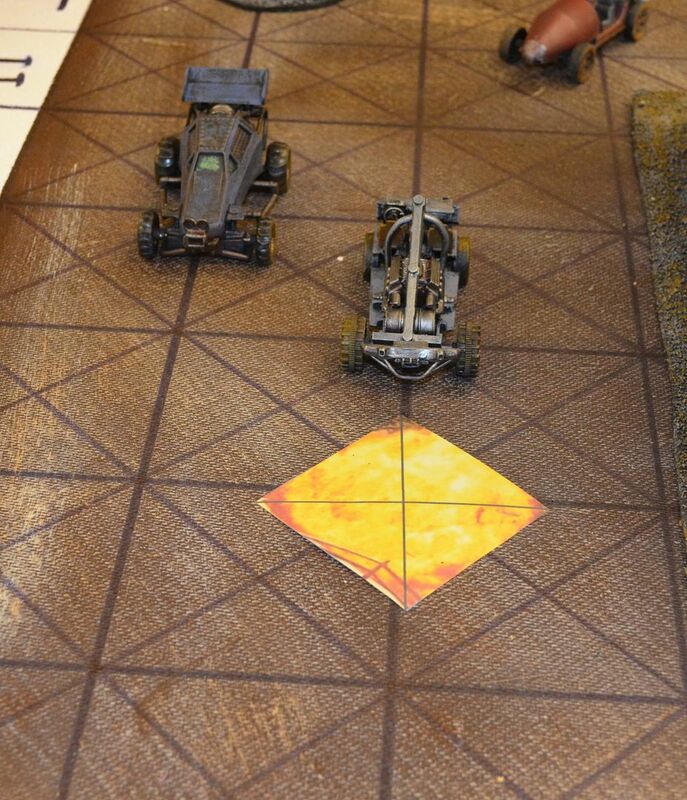 In this case I used my post apoc ruins, crashed and burnt out cars and other sundry stuff. 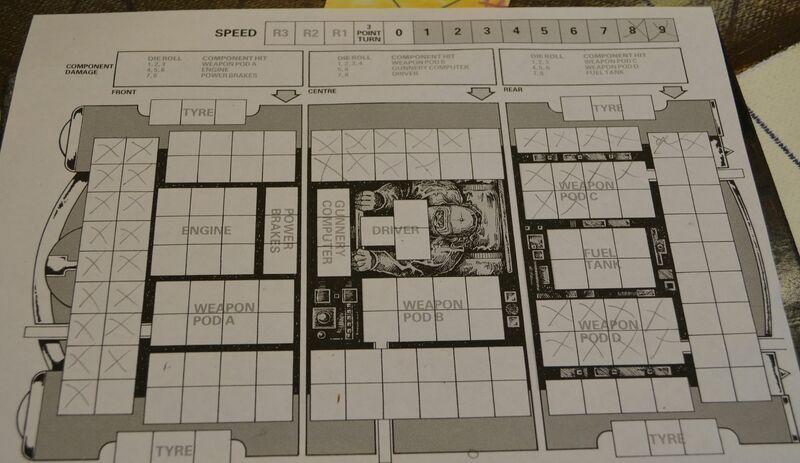 As to the play sheets I just photocopied some of the original car sheets and players will use felt tip pens to mark off damage and ammo. 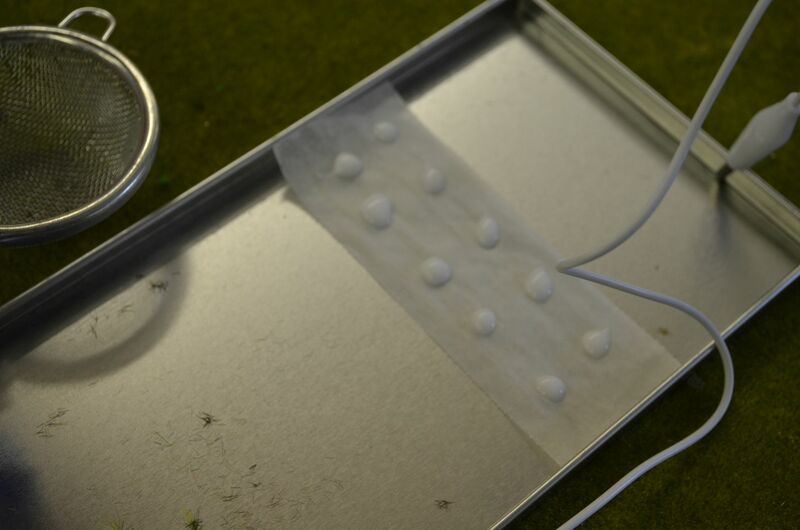 A bulldog clip sliding across the top helps to mark speed. 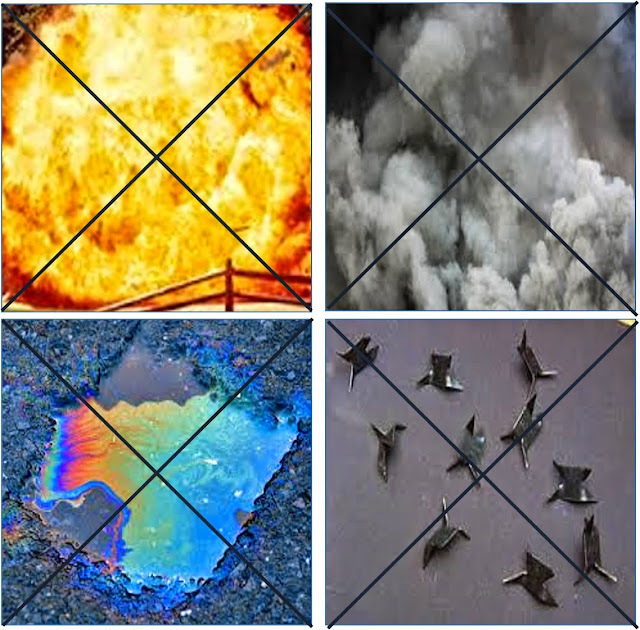 For passive weapons drop offs like smoke, mines, oil and spikes I made up some bigger cards to place on the board. These were printed and laminated. In time, and if this proves popular I'll create some bespoke pieces. 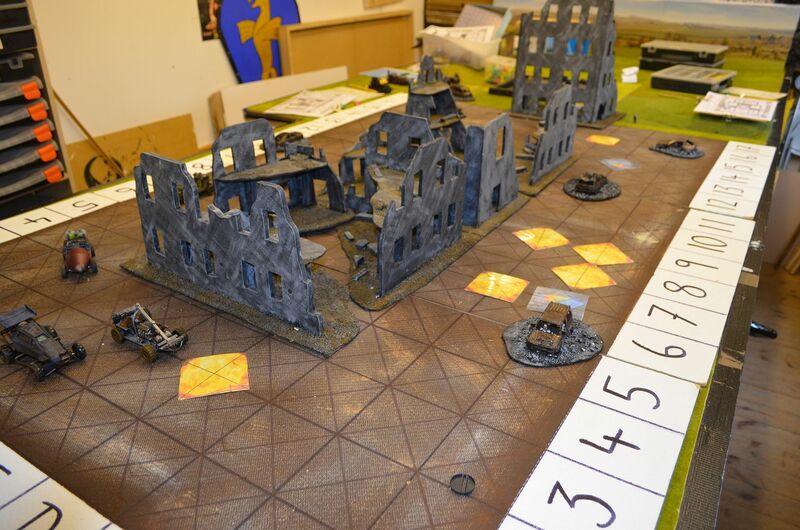 With four of us playing we managed to squeeze in three 'fast and furious' games. 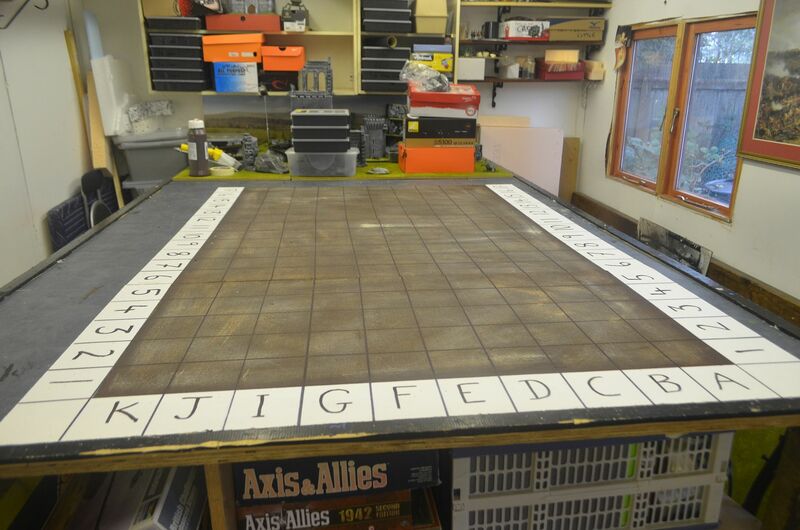 The first two were simple classic affairs - hurtle around the board and try to be the last man standing. All good fun. The third game was very different and has certainly lead to some thoughts as to how this might progress. We set up a track around the board. The Winner being determined by the first person to complete three laps or go the furthest distance. We diced for pole positions and with Mark taking the lead he soon shot off in the distance only after dropping mines on the starting line. My car soon followed with two tyres blown out by the mines. As each car left the grid they deposited their grisly loads. It soon became a game of cat and mouse with the track being covered in spikes oil and mines. Navigating these treacherous areas soon became impossible and the cars were forced to run these channels of destruction. Flame, Rockets and Machinegun fire echoed across the track as the cars steadily traversed the oval circuit. By the end of Mark's first lap he was soon close to lapping those in the rear. This of course brought into play some new behaviours with the rear running cars (mainly driving on near flat tyres) to try and take out the leaders. All good fun. 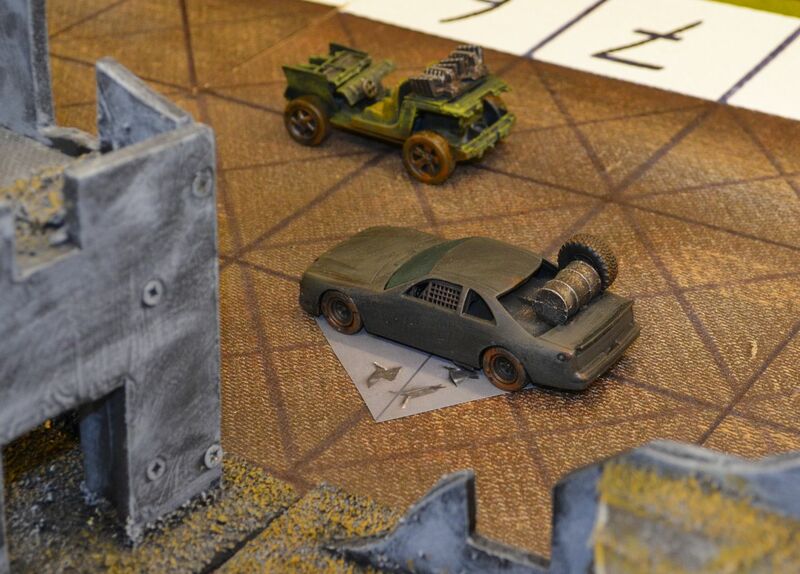 In the end Legatus managed to take out our lead runner with a combination of mines and flame into the rear of the leading car - Kaboom as the fuel tank exploded. With his tyres shredded Legatus managed to limp around the track and take the crown. It soon became apparent that this game had begun to look a bit like Deathrace (the movie set in a future prison starring Jason Statham). I the film the convicts race on a specially designed track in custom cars with the potential of parole for the winner of the race. The cars are equipped much as ours were but weapons were only activated when the cars hit certain hotspots. With this in mind I am going to re-watch the movie and try to recreate the track and these hot spots.